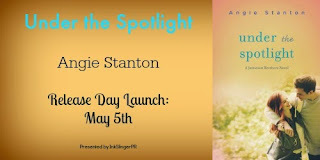 Guest Post: Top Ten Reasons Why YOU Should Read Under the Spotlight by Angie Stanton ~ Love.Life.Read. vowed never to sing again. Now she's behind the scenes, working at the prestigious Sound Sync recording studio, and life is looking up. 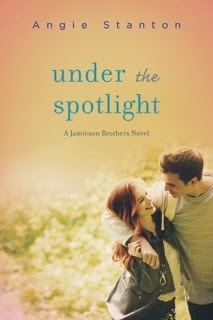 But then Garrett Jamieson, the oldest brother in the famous Jamieson brothers band, crashes into her world. Be sure to take the time to enter below for your chance to win a $25 Amazon gift card!